The joyous holiday of Passover will soon be ending. While one’s instinct might be to immediately run out to the supermarket and restock the pantry shelves with bread, snacks and all the desserts that were missed over the holiday, it is important to be aware of the issues that apply to buying and selling chametz (leaven products) that might have been owned by a Jew over Passover. Since benefit from chametz owned by a Jew during Passover is forbidden, buying chametz products after Passover becomes an issue. Small, Jewish-owned stores that cater to the Jewish community generally take care to properly sell their chametz. Large supermarkets, however, are often owned by larger corporations or conglomerates. If the ownership is at least 51% non-Jewish, there is no problem purchasing chametz immediately after Passover. However, if the majority ownership is Jewish, one is advised to wait for the average length of time it takes for the product inventory to turn-over (times may vary by product) and be restocked. Local rabbis can generally provide the necessary information for their communities. 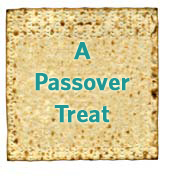 The Passover celebration lasts seven days (eight days, outside of Israel). 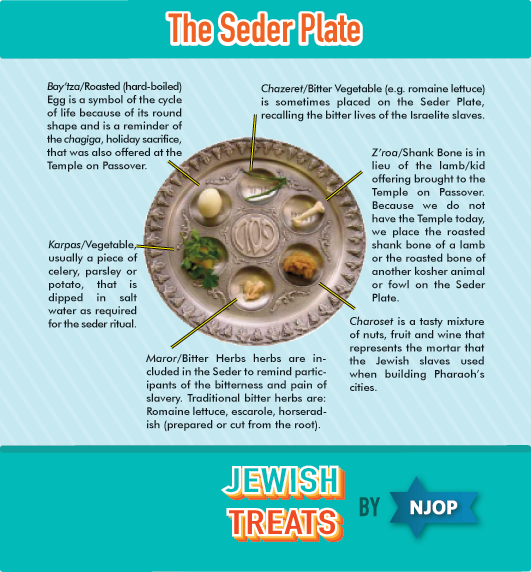 The first day (and second, outside of Israel) is a Yom Tov, festival day, on which the seder is celebrated. However, the Torah also explicitly commands “and in the seventh day there shall be a holy convocation to you” (Exodus 12:16). The simplest explanation that Sheh'heh'cheh'yanu is not recited on the Seventh Day is that the offerings of the day were no different than those on the interim days of Passover. However, it should also be noted that the Seventh Day of Passover marks the anniversary of the crossing of the Sea of Reeds, an event that was already praised during the seder. After Moses led the Israelites out of Egypt, he followed God’s directions “that they turn and encamp before Pi-Ha'chirot, between Migdol and the sea, over against Baal-Zephon: you shall encamp before the sea” (Exodus 14:2). By the time they encamped before the sea, Pharaoh had changed his mind about freeing the Israelite slaves and led his army after them. At the moment of greatest peril, Moses stretched his staff over the waters, and God sent a strong east wind to split the sea, enabling the Israelites to cross on dry land. When the Egyptians tried to follow them, the watery walls crashed down upon them and the entire Egyptian army drowned. Since the entire holiday is a celebration of redemption, the story is not retold again in any grand ceremony on the Seventh Day. But, because of its importance, God gave His people the gift of an extra day of Yom Tov and elevated the day in commemoration of that glorious event. The additional festival day acknowledges that seven days after they left Egypt, the Israelites were once again miraculously redeemed and that the entire Passover holiday is a time of redemption. The Seventh day of Pesach recalls the splitting of the Red Sea. Attend synagogue services where the Torah reading describes this miraculous event. The sages, however, explain in the Midrash that the Egyptians were cunning and enslaved the Jews through artifice. This is understood from Pharaoh, whose name can be broken up to mean peh rah, which means evil mouth, and can be understood as well to relate to peh rach, soft mouth. This Treat was last posted on April 14, 2016. While the Book of Psalms is attributed to King David, who was a known scholar, pietist and musician, it is understood that a handful of the psalms are actually much older. These psalms had been passed down through the generations until David included them, along with his own writings, in The Book of Psalms. An excellent example of psalms that pre-dated King David are those psalms that open with a dedication (authorial note) of the sons of Korach. The joyous Hallel service, helps set the mood for the celebratory Festival of Freedom. Are you Ashkenazi or Sephardi? Hungarian, Yekke (German), Litvak (Lithuanian)? Kitniyot (Legumes) - During the holiday of Passover, Ashkenazim follow a rabbinic decree not to eat foods containing kitniyot, such as rice, corn, soy beans, string beans, peas, lentils, peanuts, mustard, sesame seeds and poppy seeds. This rule was established because these products are often stored together with chametz grains, making it difficult to ensure that there is no chametz mixed with the products. Also, when kitniyot are ground into flour, the untrained eye could mistakenly think that this is real flour, giving the impression that such flour is permitted on Passover. The decree only prohibits the eating; products containing kitniyot do not need to be sold with the chametz. Gebrouchts (Wet Matzah) - Another custom followed by Ashkenazi Jews from certain regions is not eating gebrouchts. Gebrouchts, which are foods prepared with matzah or matzah meal and mixed in liquid, are avoided out of a concern that additional fermentation may occur when the matzah and liquid are combined. Those who are stringent not to eat gebrouchts will therefore not eat matzah balls, matzah brie, matzah lasagna, etc. Those who refrain from gebrouchts will eat them on the eighth day, since this is an extra day observed only outside of Israel. This custom was broadly accepted in many Chassidic communities (Hungary, Galicia, Romania). In those communities where mitnagdim (non-Chassidic) were dominant (Lithuania, Germany), it was almost considered a mitzvah to eat gebrouchts food in order to make the point that it was permissible. *Traditionally, one follows the customs of the paternal line. For example, if a Russian woman marries a German man, she follows his “Yekke” customs, as do the children. Those who cannot trace back their lineage to know their family customs should consult their rabbi. Few personalities have done as much to define the Modern Orthodox Jewish community as Rabbi Joseph Ber Soleveitchik (1903-1993). Not only did “the Rav,” as he is referred to reverently by many of his students, ordain thousands of rabbis in his position as a senior Rosh Yeshiva at Rabbi Isaac Elchanan Theological Seminary (RIETS) of Yeshiva University (where he was the Lieb Merkin Distinguished Professor of Talmud and Jewish Philosophy), but he was an original scholar, author, rabbinic leader, supporter of religious Zionism and advocate for a path of religious “synthesis” known as Torah U’Madda (Torah and secular knowledge). Born in Pruzhany (then Russia), the Rav’s paternal lineage included a number of renowned rabbinic personages (Beit Halevi, the Netziv, Rabbi Chaim Volozhin). As a young man, after a strong Torah education, he attended three semesters at the Free Polish University in Warsaw and then moved to Berlin where he was able to matriculate into the Friedrich Wilhelm University. He received his Ph.D. and, in 1932 (shortly after marrying Dr. Tonya Lewit), moved to Boston, Massachusetts, where he served as the city’s Chief Rabbi. For the next decade, “the Soloveitchik of Boston,” as he referred to himself (there being many rabbinic uncles and cousins), helped build the Boston community. He established the city’s first Jewish day School (the Maimonides School), supervised kosher slaughtering, and delivered lectures on Jewish subjects. When the Rav’s father, Rabbi Moses Soleveitchik, passed away in 1941, the Rav assumed his position as head of the RIETS rabbinic school, where he continued teaching until illness (Parkinsons Disease and, later, Alzheimers) made it impossible for him to continue (1986). The Rav was a genuine and unique talmid chacham (great scholar) who inspired thousands of students. Outside of his teaching, he also authored several highly influential works that presented his underlying religious philosophy. The best known of these were The Lonely Man of Faith (1965) and Halakhic Man (1983). The Rav passed away during the Passover holiday on April 9, 1993 (18 Nisan). This Treat was last posted on April 9, 2013. In honor of the yahrzeit of Rabbi Joseph B. Soloveitchik, “the Rav,” study one of his many articles, books, or even listen to a recording of one of his classes. This year, the Counting of the Omer begins on Saturday night, April 20th. Create nightly reminders to count the 49 days of the Omer from Pesach to Shavuot. The night before the Passover seder, the home is thoroughly searched for any remaining chametz. The chametz found is then set aside to be burned in the morning. Biur Chametz, the destroying of the chametz, is the final step of pre-Passover preparations. Why is the chametz burned? Burning is considered the ideal means of disposing of one’s chametz. The Mishna cites Rabbi Judah, who said, “There is no removal of chametz save by burning.” The sages, however, maintain, “He [a person may] also crumble and throw it to the wind or cast it into the sea” (Pesachim 21a). On the morning before the seder, chametz may be eaten until the fourth halachic hour of the day. * Biur Chametz takes place before the end of the fifth halachic hour of the day. * In larger Jewish communities, there is frequently a designated location for Biur Chametz, often in conjunction with, and overseen by, the local fire department. All of the chametz thrown into the fire is burned so completely that even a dog would not eat it. While burning is the ideal way to destroy the chametz, if one is unable to do so due to timing or other limitations, one may pour a chemical disinfectant such as cleaning fluid on them so that the chametz become unfit to be consumed even by a dog. One may also flush the chametz down the toilet. *The length of a halachic hour of the day is calculated by dividing the actual daylight hours from sunrise to sunset by 12. Many have the custom to eat their last chametz meal early in the morning of the eve of Pesach. Be careful to clean up so that not even the slightest trace of chametz can be found. Bedikat Chametz begins shortly after nightfall. When one is ready to begin the search, a blessing is recited (see below), after which no talking is permitted with the exception of conversation pertaining to the search itself. Traditionally the search is conducted by the light of a candle, in order to enable a thorough inspection of all the nooks and crannies (one may use a flashlight). Among Ashkenazi Jews, it is also customary to use a feather to "sweep" any chametz crumbs into a paper bag. Sometimes getting into the right frame of mind for the search may be difficult, especially if the house has already been thoroughly cleaned for Passover. In order to be in the right frame of mind and to make certain that the blessing over the search is not said in vain there is a custom, therefore, to have someone else carefully "hide" ten pieces of chametz (for instance 10 pieces of pretzel wrapped in foil) in the rooms which will be searched. The search will thus be more diligent, and will not conclude until all the rooms have been checked and the 10 pieces found. When the search is over, one makes a general declaration stating that any unknown chametz is hereby declared ownerless. The chametz in the bag is set aside to be burned the following morning. One may, however, put aside chametz to eat for breakfast (and Shabbat meals when Passover begins Saturday night), making sure to clean up any leftovers and to add them to the chametz bag afterwards. There has always been a lot of pressure on firstborn children, as they were often expected to care for the family property or business in order to ensure stability within the community. Even in modern society, the firstborn usually receives the most attention, the most responsibility and makes the most mistakes. For all those reasons (and more, we're sure), the final plague, the Death of the Firstborn, was the most devastating (even though people had died in, or as a result of, the other plagues). The Death of the Firstborn was also the first plague during which the Israelites needed to take an active role in order not to be affected (marking their doorposts with blood). It is interesting to note that the Midrash (Exodus Rabbah 18:3) infers that Egyptian women/girls also died during the Death of the Firstborn, and therefore there are different opinions as to whether firstborn women/girls should fast as well (one should follow the custom of the community). The Fast of the Firstborn begins at sunrise and ends at nightfall (with the start of the seder). It is customary, however, for those obligated to fast to attend a seudat mitzvah (the feast of a mitzvah) such as a brit milah (circumcision) or, most often, a siyyum (celebration of the completion of studying a section of Torah or Talmud), which cancels the fast. *This Treat was originally published on April 17, 2011. It is being re-Treated to help us better understand the holiday of Passover. 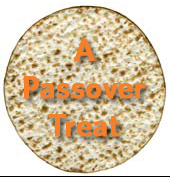 There is much to do on erev Pesach (the eve of Passover). If you are a first born, you should participate in a celebratory meal (after a brit milah, pidyon haben or a siyum, the completion of a Talmudic Tractate of study) that will exempt you from fasting. Contact your local synagogue to see if they will have a siyum on the morning before Passover. Laban was Jacob’s father-in-law, the father of both Rachel and Leah. When Jacob left his parents’ household, he went to his Uncle Laban, in Padan-Aram, where he remained for over 20 years -- thus Laban is called an Aramean. Laban was a cheater and a thief -- accumulating wealth was his obsession. When Jacob wanted to marry Rachel, Laban indentured him for seven years, and then at the wedding switched Rachel for Leah. When Jacob discovered the treachery, Laban allowed Jacob to marry Rachel as well, but at the price of another 7 years of labor. When Jacob and his family decided to leave Padan-Aram twenty years later, his father-in-law was greatly angered, yet feigned being hurt by Jacob’s desire to take away his grandchildren (when all he really wanted was Jacob’s wealth). Since at the seder we must see ourselves as free and aristocratic, it is only appropriate to wear new or freshly-laundered formal clothing. Make sure you take plenty of time to prepare all that is needed in order to celebrate an inspiring and kosher Passover. The earlier you begin, the easier it will be. The First Cup is designated for Kiddush. The Second Cup is consumed after the section of the Haggadah known as Maggid, in which we tell the story of the Exodus, as a way of praising God. The blessing on wine is made a second time, because significant time has passed since the first cup was blessed. The Third Cup is blessed after Birkat Hamazon, the Grace After Meals. It is customary that after reciting Birkat Hamazon as a group, a single cup of wine or grape juice is blessed, and consumed by the person who leads the prayer. At the seder, however, all present bless and drink their own cup of wine. The Fourth Cup is consumed at the conclusion of Hallel, the section of Psalms praising God, and marks the conclusion of the food part of the seder. The Haggadah is meant to serve as an orderly guide to effectively convey the story of the Exodus to those who will be joining together for a seder. The more insight one gleans from the Haggadah commentaries, the more effective the task will be. 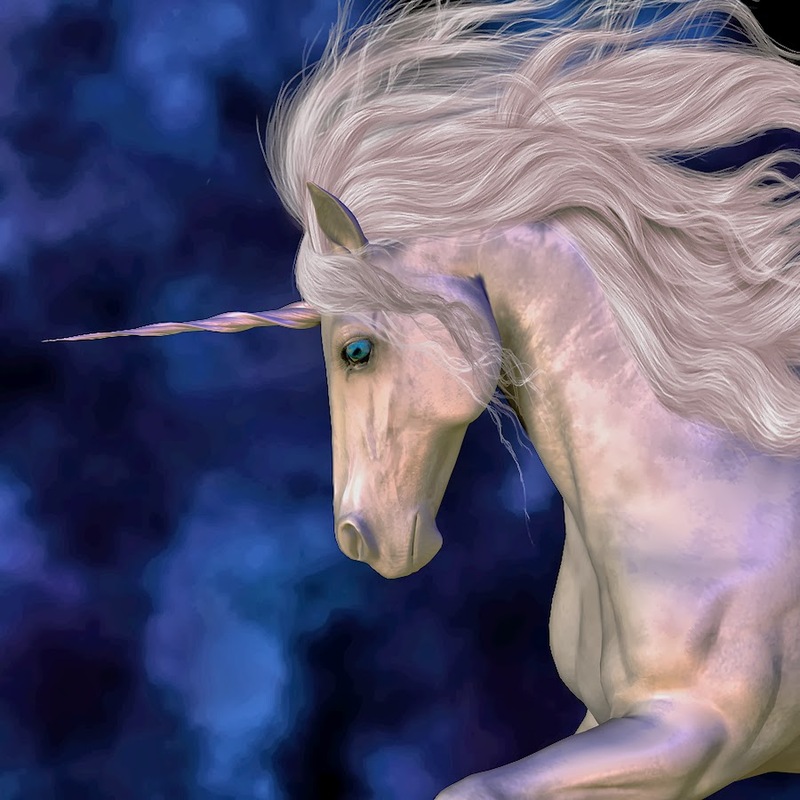 There are literally hundreds of Haggadot sold today, each one offering a unique approach and its own insights. On your next trip to Israel, visit Afula and the Jezreel Valley. The Book of Joshua begins with God appearing to Joshua, Moses’ prime disciple and successor, and informing him to prepare to lead the Children of Israel into the Land of Israel. Joshua instructed the nation to prepare to cross the Jordan River three days later, thus finally entering the elusive Promised Land. Joshua’s next act was to dispatch two unnamed scouts to survey the land, and to visit the first city they will need to confront: Jericho. Tradition teaches that the two scouts sent by Joshua were Caleb, the son of Yefunah, and Pinchas, the son of Elazar, the High Priest. Caleb, husband of Miriam (and brother-in-law to Moses and Aaron), had served along Joshua as one of the twelve scouts that Moses had previously sent to explore the land of Canaan. The 40-day sojourn of the 12 scouts ended with the other ten scouts reporting only negative information about the land, in an attempt to scare the nation. Despite Joshua and Caleb’s protests, they succeeded and their report and the Jews embrace of it, caused God to punish them severely. As a direct consequence of hearing and accepting the report of the 10 wayward scouts, the male adult Israelites of that generation were not granted entrance into the Promised Land. God forgave them for the sin of the Golden Calf, as well as their incessant complaining about food and other failings, but He did not forgive their acceptance of the scouts’ report. Joshua clearly learned from some of the challenges that faced the first scouting mission about 40 years earlier. Instead of sending surveyors from each tribe (Joshua represented his tribe of Ephraim when he went), he only sent two individuals whom he inherently trusted. Caleb had proven his trustworthiness decades earlier, and Joshua asked Pinchas to join him. Pinchas, who famously ended a plague brought upon the Children of Israel by publicly killing a sinning Jewish prince, was a great nephew to Caleb. The two spent but a few days in Jericho and her environs and immediately returned back to the Israelite camp, where they told Joshua, “Truly the Lord has delivered to our hands all the land; for all the inhabitants of the country faint because of us” (Joshua 2:24). Compare that to the report of the previous scouts who intimidated the people by saying: “Nevertheless, the people, who live in the land, are strong, and the cities are walled, and very great; and moreover we saw the children of the giant there...” (Numbers 13:28-29). According to tradition (see Rashi to Joshua 2:1) the Jews would cross the Jordan after the month-long mourning period for Moses. It was on the 5th of Nissan that Joshua dispatched the scouts. The wise make appropriate changes to transform failure into success. The Oral Tradition, that accompanied the written Law, possesses a wide array of opinions, accounts and views. Explore the Oral Tradition: You never know what you will learn! Enjoy your next trip to the zoo and marvel at the creations of the Creator. Martin Luther King Jr. was assassinated in Memphis, TN on April 4, 1968. This Treat was originally posted on January 20, 2014.